Your gift ensures that there is always enough. Seed & feed for garden. Coffee & tea for Hospitality Room. Month of meals for Respite. At Haywood Street we celebrate communion each week -- but not just at the altar table. 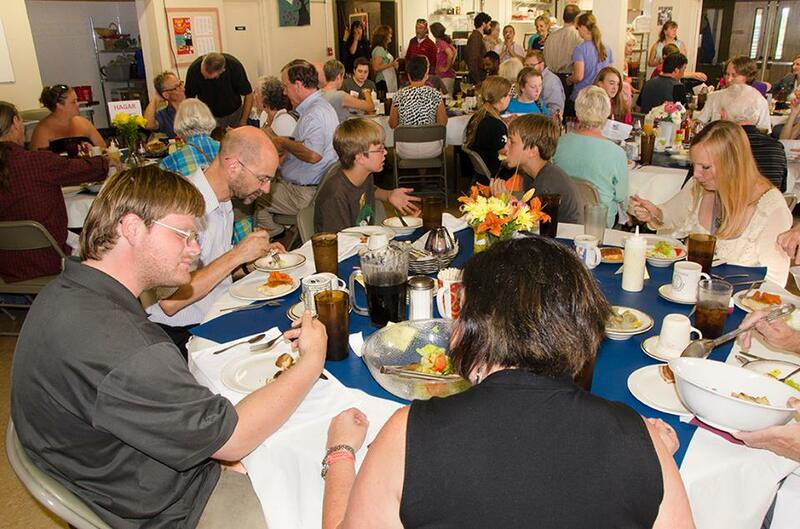 Around the kitchen table in Respite and at every Downtown Welcome Table feast, communion happens. Over a cup of coffee in the Hospitality Room and in conversation at the picnic table, communion happens. Relationships are every bit as important as the food we serve, the clothes we distribute, and the medical respite care we provide. Thank you for supporting our many welcoming tables. An amazing story of community service.